Audible notifications such as fire alarms, overhead PA announcements, and sirens are important components of a mass notification system. However, using only audible notifications can leave large segments of your organization’s population in the dark due to lack of event details, such as how to respond during an emergency. Incorporating visual notification also helps to overcome challenges such as loud environments and ensures you reach those with auditory impairments. 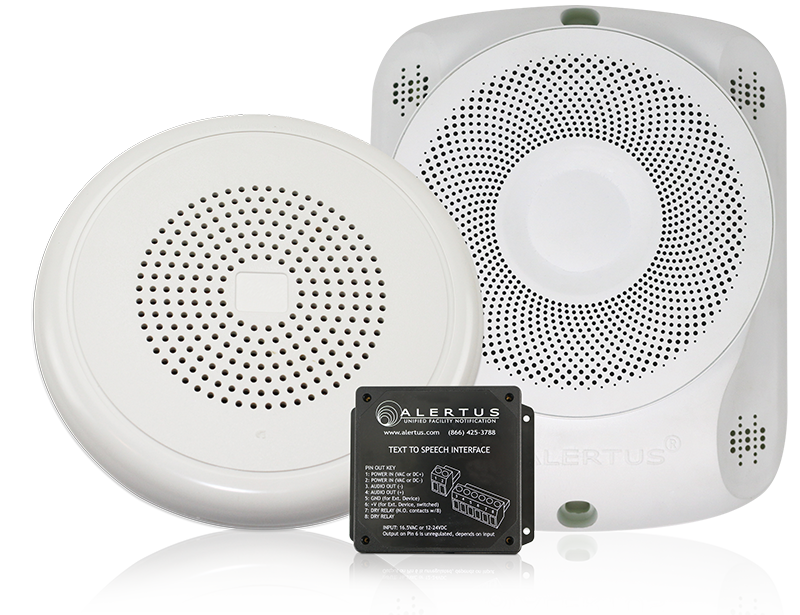 The Alertus Alert Beacon is a wall-mounted IP alerting device that serves areas that lack an in-building emergency notification by instantly providing strobes and alert text, coupled with audio that can be heard from over several feet away. The Alert Beacon is not dependent on congested cell phone towers or the Internet, and can be connected to the Alertus System via ethernet, WiFi, or FM Radio. You can extend the visual reach of the Alert Beacon with the Alertus LED Marquee. In an emergency, you need clear, calm, consistent communications. Prerecorded messages can’t provide specific details and instructions, and live voice requires extraordinary poise to speak clearly into a microphone during an emergency. Alertus’ text-to-speech technology (TTS) overcomes these challenges by leveraging the latest in voice synthesis technology. Crystal clear sound and exceptional intelligibility of spoken text enables you to leverage your existing speaker systems, such as PA systems, or use the Alertus Text-to-Speech IP Speaker to provide clear, wide-reaching notification for your organization. Alertus Technologies’ VoIP & IP phone notification solution transforms office phones into a unified emergency communication system. This innovative technology simultaneously activates audible/visual notifications on all or select supported VoIP or SIP phones and speakers. It also works alongside Alertus Desktop Notification and other Alertus net-centric alerting endpoints to ensure consistent enterprise-wide notifications.